Sharon Logue is the Sealant Program Coordinator in the Dental Health Program at VDH. “Our goal was to increase access to oral health care for high–risk children in targeted, mostly rural, areas across our state,” she says. The VDH team developed a very effective way to reach those kids in need: they brought preventive oral health care straight to their schools. The year the Basic Screening Survey was released, VDH received a workforce grant from the Health Resources and Services Administration (HRSA) to pilot a school–based dental sealant program model. They continued this work under a grant from the Centers for Disease Control and Prevention (CDC) that supported the infrastructure for the program starting in 2013. What began as a sealant program has since expanded to include other preventive oral health services like fluoride varnish, dental screenings, referrals, oral health education, and even—in a few schools—teeth cleanings. Logue and Adiches explain that a regulatory change was needed in order to make their program a possibility because remote supervision protocol was new to Virginia. In 2012, the remote supervision protocol was approved by the Virginia General Assembly—and the VDH team was thrilled. “It allowed a more cost–effective means for getting these children the preventive oral health care they need,” says Adiches. Since the VDH program sought to help at–risk children, the team decided that schools needed at least a 50% participation in the National School Lunch Program (NSLP), a federal meal assistance program, for inclusion in the oral health program. In the pilot phase, which ran from 2009 to 2012, the sealant program was only available to children of certain ages who were enrolled in the NSLP. But in 2013, the VDH team decided to offer preventive dental services to all children in the qualified schools. A total of 6,866 children from 144 schools received dental services including sealants, fluoride varnish, dental screening, and follow–up care. The number of schools enrolled in the sealant program was 103% higher than in 2012–2013. The number of children who received sealants was 91% higher than in 2012–2013. When Logue, who now supervises the sealant program, discusses its success to date, she emphasizes the importance of the hygienists and assistants who do the work. Right now, VDH has 9 teams working across the state, supervised remotely by a public health dentist. The staff even promotes the program at first–of–the–year school nights or PTA events. “They have to get creative,” explains Logue. “Kids need parental consent to get our services, so reaching parents is key." 4School-based Dental Program Evaluation Report of the Virginia Department of Health, 2016. Richmond: Virginia. Office of Family Health Services, Virginia Department of Health. March 2017. 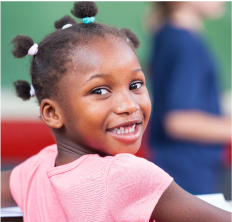 5Virginia Statewide Basic Screening Survey of Third Grade Children, 2014–2015.